Maybe you have a fresh idea or product concept that is underway, and you are thinking whether filing for patent will help you and your business. 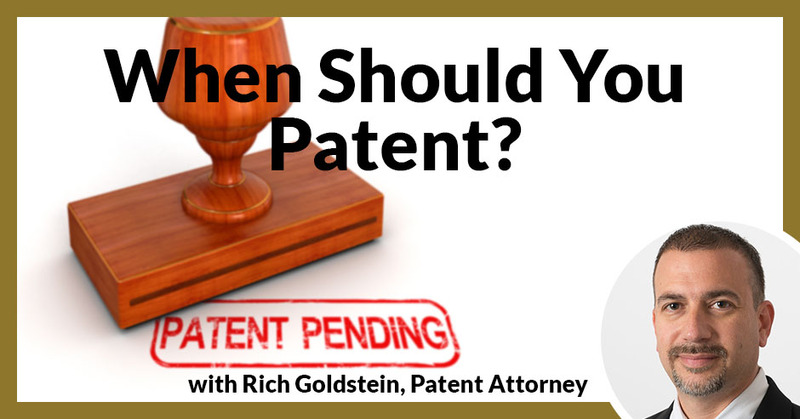 Attorney Rich Goldstein, founder of Goldstein Patent Law has over 25 years of experience as a patent attorney, has advised over 10,000 inventors and entrepreneurs from different industries on patenting, and has an impressive record of having over 2,000 patents approved under his belt. Over the course of his career, he has learned that the costliest part about patents for inventors, product designers, or business owners is their misinformation about the patent process. Rich discusses the patent process, utility patents, design patents, as well as other useful tips and information to help you determine whether your idea or product is worth patenting so you can avoid wasting precious time, money and effort. For this episode’s Office Hours, we’re going to feature Rich Goldstein, our IP expert on how to patent small business IP. Rich Goldstein here and thank you for joining us because we’re about to tackle what may be one of the most important questions to people that are launching a product. That question is, “Should I patent it now, later or maybe never?” The reason this is one of the most important questions is because it’s typically the one that nags at you throughout the product launch cycle where you’re saying to yourself, “I think a patent is important and I should do it,” or people are telling you that it’s important. Even though you are going about other things in terms of developing the product, there is this nagging feeling of, “Should I be doing something about the patents?” Or maybe, “I can do that later.” Or maybe “It’s not important at all.” In any case, this is perhaps one of the most critical questions for you to look at and answer. Whatever that answer may be, whether you decided that you’re never going to do a patent, having the answer itself is just incredibly valuable. Let me just tell you a little bit about myself. My name is Rich Goldstein and I am a patent attorney. I founded IP Law of Boutique, known as Goldstein Patent Law about 25 years ago or close to that. During that time, I’ve obtained close to 2,000 patents for my clients and I’ve also spoken to many other inventors in a lot of different context, more than 10,000 inventors, and giving them advice about what to do or whether to do anything. I also authored a book known as the ABA Consumer Guide to Obtaining a Patent. That was from the American Bar Association who asked me to write this book to explain to everyday people and entrepreneurs how the patent system works. One of the things that I’ve done which has been to help entrepreneurs and out of my passion for educating entrepreneurs is I’ve produced videos that tens of thousands of people have watched to learn the patent process and you can find them at PatentVideos.com. At some later point you will also be able to find them here on this website, Product Launch Hazzards. A lot of times, people put a lot of weight behind the patent itself and they wonder if it’s the patent itself that’s going to lead to their success. On the other hand, they might wonder, “Maybe I could be successful without ever getting a patent.” A lot of these questions have to do with the worth of the patent itself. They also boil down to one critical question which is, “Can I even patent it? Can I even get a patent on this?” Regardless of how valuable you might feel a patent would be to your project, to the success of your product, if you can’t get a patent on it, there’s not much point in going much further. In that, there’s another question which comes up often in terms of the costliness of the process and people ask, “What’s the costliest part of patents?” My answer is the costliest part of the patent process for you may just be your misinformation about the patent process, the things you don’t understand about patents. They can lead you to spend money unnecessarily. They could also lead you to skipping a patent when the patent might be incredibly valuable to you and your project. First of all, in terms of this question of patentability, can you get a patent? There are two major areas to look at. One is does the invention have patentable subject matter? In other words, is it the right type of thing that can be patented? The other question is, is it new enough? In other words, is it new and non-obvious? To get a patent, your invention must not only be new, in other words, different from things that exist in some minor way, but also non-obvious, and that is in whatever way it is different from things that have been patented or from things that exist previously. Whatever that difference is, it must be a non-obvious difference. It must be something more than just something that would be obvious to people in the field. There are two main types of patents that you might be interested in if you are patenting a product or you’re looking to patent a product. One is the utility patent. A utility patent is the one which protects the concept. It’s what protects the functional differences in the product. On a conceptual level, what’s different about your product and what’s different about the way it’s structured that lead to some functional differences with functional advantages in your product. Beyond the utility patent, there’s also a design patent. A design patent is simply for the ornamental appearance of the product. You have a functional product and it has an appearance to it which is ornamental. It’s not about the function, it’s just about an interesting ornamental look for that product. That’s what you would protect with the design patent. In terms of deciding whether you have something that’s patentable, you also want to know whether it’s something that you can get a utility patent on because there are some structural differences that are worthy of a patent because they are new and non-obvious, whether it’s something that could ultimately or maybe at the same time qualify for a design patent because you have a different configuration or appearance of a known functional product. In terms of the patent process, just a few things to know. Generally, the patent process starts with preparing and filing a patent application. A patent application includes drawings and inscription that go into full detail of the invention. If you’ve ever seen a patent before, basically all that information that you see in that patent, all the drawings, all the description, was originally done by the patent attorney when they prepared and filed the patent application. Eventually, once the application was approved, that became printed in the actual patent. Most of the work in the patent processes is in preparing and filing a patent application. Once the application is filed, then it’s patent pending. Once it’s patent pending, your priority is established. If anyone were to get to the patent office with their patent application after you, then you would have priority over that. Patent pending status means you filed, means you have priority. Once the application is filed, then it’s patent pending. Once it’s patent pending, your priority is established. At a certain point later, it’s going to be reviewed by someone at the patent office, someone known as an examiner. That examiner is going to do an examination to determine whether your patent application is worthy of a patent. That examination means they’re going to do their own research to see what exists that’s similar to it and decide whether it’s different enough to be worthy of a patent. 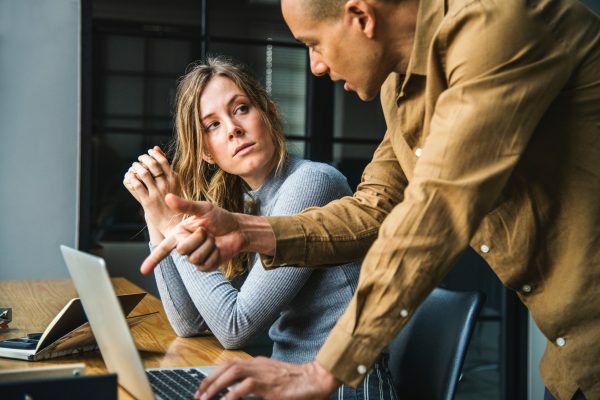 If they disagree, it may be rejected; but when it’s rejected, we have an opportunity to respond and present arguments to show that it should be patentable. Once we respond, if we convince the patent examiner to approve it, then they allow it. They issue what’s known as a notice of allowance, at which point certain issuance fees need to be paid to the government. Once those fees are paid, then the patent is granted and then you have an issued United States patent. That’s the patent process. A useful step to help determine whether what you have is different enough to be worthy of a patent is to do some searching. You do some patent searching to look for the things that existed prior to your invention. Doing that research will help you avoid jumping into the patent process when it’s not possible to get a patent. You can start that research by using some online searching like Google Patents. Google Patents will let you do some online research and help you eliminate the possibility of a patent. In other words, you do some quick searching, you look on Google Pads, you find that the exact same thing exists. That might be sufficient for you to just say, “I’m never going to pursue this because it’s not something that I can patent,” and then that’s the end of the story. 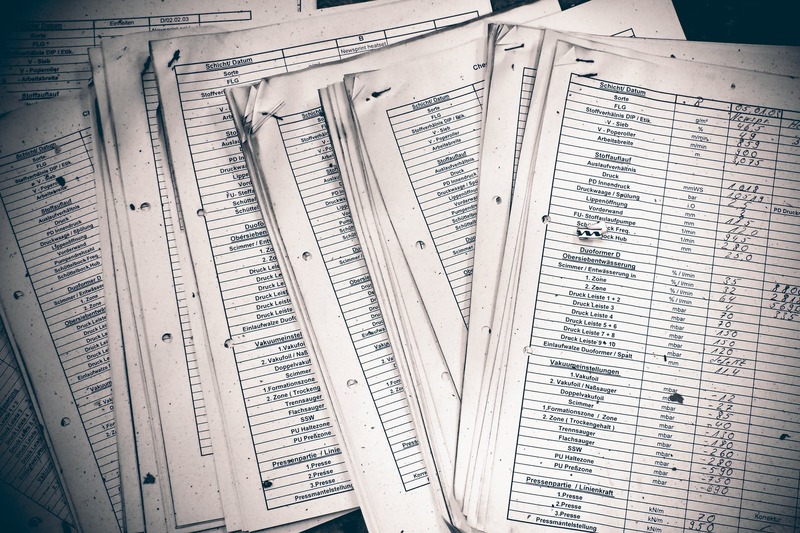 If you don’t find something just like it and you still think what you have might be patentable, then it pays to have a classification search done. It will cost a lot less money to do the classification search professionally than it would to have a patent application drafted. If you find it easily by yourself online, then it pays to just invest a little time to do that. If it turns out that there is nothing similar that you’re able to find, you still should have a professional search done prior to spending money on drafting the application. The other thing though about the research and having good research done is it’s going to help steer the process and help you define what you should be seeking in a patent. You go into it thinking, “I’ve invented this whole new concept, this whole new product,” then you’d do some research and you see that it’s not as new as you think it is. Then you get a sense of what is new about your product and now you know what to focus on with the patent application. You focus on the part that turns out to be new. It can help see other process when you have good patent research done. In some, getting the right advice from professional after you have the benefit of research can help you avoid wasting money by headed in the wrong direction. You could spend a lot of money drafting a patent application that’s mostly about something that’s not patentable, and maybe then you just try to squeak out that remaining portion that you didn’t spend much time and effort on, but that’s maybe the only part that’s patentable. It’s helpful to find that combination of good research and good advice to help you avoid wasting money. That goes back to that question of what’s the costliest part of the patent process? It’s the things that you don’t know about the patent process and it’s the things that you don’t know about the patentability of your own invention that can be the biggest waste of time and money. With that background and knowing a little bit about what would determine the question of, “Can I get a patent on it?” Let’s go to that bigger question of, “Should I apply for a patent now, later, or never?” Never. First of all, when do we rule it out? The time that we rule it out is, first of all, when it’s not patentable. This may seem very obvious and very intuitive, but it isn’t for a lot of people. A lot of times it’s the urgency, the sense that “I need to get a patent” that will overcome the notion that it’s not patentable at all. It’s not something that you could get a patent on. Sometimes people spend a lot of money trying even though it’s staring them in the face that they’re never going to get a patent on it. A related concept is you should not bother doing a patent at all. Design Patent: It’s helpful to find that combination of good research and good advice to help you avoid wasting money. In the second scenario, even if it is patentable, when what you would be patenting would not help any important business goal or personal goal, it’s not worth it. You might see a path toward getting a patent but when you look at it and when you look at your business goals and when you look at the scope of the patent, and when I say the scope, I mean what are you actually patenting? Are you patenting that original concept that you thought was new, or are you now just relegating yourself to patenting some minor difference that might not be important in the marketplace? You notice that there is something patentable but it’s just a little piece of it. When you think about your business goals and your goals of bringing the product out there into the world, you realize that this might be a nice little feature of your product that you’re able to patent, but would it help you meet the business goal of preventing competition? If you want to stop other people from doing anything like it and if you’re not able to protect enough of the invention or the product to prevent your competition from jumping in, then it’s not going to help you with that important business goal. 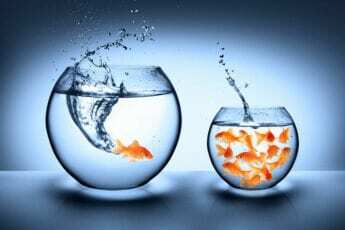 There are also personal goals that might be benefited by getting a patent, like your standing within your industry perhaps or your standing within your career, among your colleagues. Sometimes the patent would be beneficial. If it’s pretty clear that whatever you would be patenting is not going to help any of those goals, then don’t even bother. It’s not a matter of now, it’s not a matter of later, it’s more like never. Let’s talk about now. When should you apply for a patent on something now? First of all, you want to have something that’s patentable. You want to have looked to see what else is out there that’s similar and done the right research and it’s clear that you have something that’s patentable now. The concept that you’re trying to protect, the thing which you think is the groundbreaking part, that itself is patentable. You have something patentable and the patent will help you achieve an important goal of your business. You realize that these features are patentable and if I patent these features, it will be difficult for competition to jump in on it, or these are the features that a company would be interested in licensing. When you have those together, then you are leaning towards now is the time. Also, if you were about to start selling it, you’re about to make it public, or you have concerns that someone might beat you to it, it would be a reason to do it now. Sometimes you don’t feel a whole lot of urgency because you’re not about to start selling, you’re not about to do anything public, you’re quietly developing it in the background. At the same time though, you might have this feeling that there are a lot of people working on this problem. There’s a decent chance that someone else, even having not heard of it from me, might file their own patent application. That might generate the urgency. At the same time though, you don’t want to let that sense of urgency cause you to overlook the first two. You might feel, “This is important, a lot of people are working on this, I should be filing a patent application.” That urgency shouldn’t have you overlook the fact that you don’t have something patentable. It shouldn’t have you overlook the fact that the patent itself won’t help you achieve an important goal for your business. If you look at these together, and once again to decide that now is the time, you want to first of all realize that it’s patentable. Realize that the patent will help you achieve an important goal for your business and also that there is some sense of urgency where you’re either going to start selling it or making it public soon or you have concerns that someone might beat you to it. Those together are the main reason why you’d want to do it now. When you apply for a patent on something now, first of all, you want to have something that’s patentable. In terms of later, sometimes it’s okay to put it off to later. One of the reasons would be it’s not ready to patent. When I say it’s not ready to patent, it may be because there is some grain of patentability in it, but the third one here, the concept in details might change dramatically in the near future. You’ve realized that the main concept is not patentable and you have some details which themselves might be patentable, but you say, “I’m going to develop it further. I’m going to come up with more here. It’s going to change quite a bit so not really ready. At the same time though, I’m not about to start selling it because there’s a lot more development that needs to happen there.” If those are some of the factors, if that’s the case, where it’s not ready because you’re changing it, there’s not a big patentable concept in itself that’s worth pursuing, then it might pay to do it later. Another factor or another part too to doing it later is if you’re still not sure that you would even pursue developing and launching the product. If you are thinking, “It’s a good idea, but I’m not quite sure. Maybe I’ll do some market research in private,” that is, not by putting the product out there but looking at trends and trying to decide whether this is something that’s worthwhile at a wall, then you might want to put it off to later. If you’re not totally sure that this is something you want to launch, then don’t bother. Don’t do the application. Don’t prepare and file a patent application because there’s a lot of money that you’d be investing in the patent process. Wait until you’re sure that you’re going to pursue developing and launching the product. I probably went around in circles on that quite a bit, but the whole point is you want to wait until your gut tells you this is something you’re doing before you decided to actually go ahead and do it. Here’s the problem with later. This is the biggest thing that you need to worry about, or maybe there are two things you need to worry about. Here’s the first one. Selling your product or publicly disclosing it before you file a patent application could easily end your right to ever patent it. If you put your product out on the market, if you publicly disclose it in certain critical ways, then you will lose the right to patent it in the US and elsewhere in the world. Right off the bat, if you publicly disclose your invention, if you put it on sale, you’ll immediately lose the right to patent it in much of the world. Within the US, there is technically a one-year grace period, but there’s certain conditions that have to be met to use that grace period. Under certain circumstances, if you publicly disclose your invention, if you put it on sale, you may have up to a year to apply for a patent and you may not. Right off the bat, if it’s longer than a year, then it’s too late. I see this all the time. This happens quite often where people will have a product idea and maybe they’re not quite sure if they want to sell it or they’re not quite sure if it’s going to sell, and they say, “Let me just test it on the market first. I’ll put it on the market and if things go well, then I’ll apply for a patent.” They then come to me maybe two years later and say, “We’ve got this great product. We want to patent it because it’s been selling so well.” I ask that question that I’m afraid of the answer which is, “How long have you been selling it?” They tell me, “Two years.” I tell them that, “I’d love to help you, but there’s nothing we can do.” If a year has gone by since you’ve publicly disclosed it, it’s game over. In many cases, if you’ve simply disclosed it before you’ve applied for a patent, then it’s game over. If it’s going to be later, then you want to consider whether you’re ever going to want a patent. If it’s going to be publicly disclosed, then you have to be very careful about this. Design Patent: If you’re not totally sure that this is something you want to launch, don’t prepare and file a patent application. However, there is one step that you can take when you’re leaning towards the later category. When you’re feeling that maybe you’re not sure if you’re going to launch the product and you want to test the waters, or maybe it’s somewhat patentable but you’re probably going to develop better features for it which themselves might be patentable, you might do a provisional patent application. 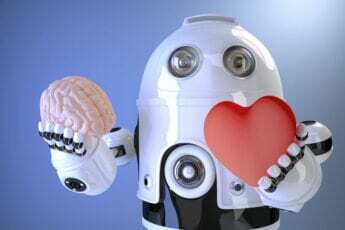 A provisional patent application is good when you have a sense that there is something that you might want to patent here but you’re leaning toward later. A provisional patent application will get you patent pending. It will establish your priority to getting a patent. It will stop the clock on those public disclosures so that if you then later publicly disclose it, you still can keep the right to file a patent application from this provisional. You only keep that right, though, if you file a utility patent application within a year. The provisional application gives you a year to file your utility patent application key priority. It gives you the ability to publicly disclose, to talk to other people, and it gives you some time and space to develop the product further. I should just note the other problem with later that I didn’t mention is that someone can beat you to it. Forget the fact that you might lose out by your own public disclosure, you might also lose out because someone else filed a patent application before you do. That’s the other problem with later. 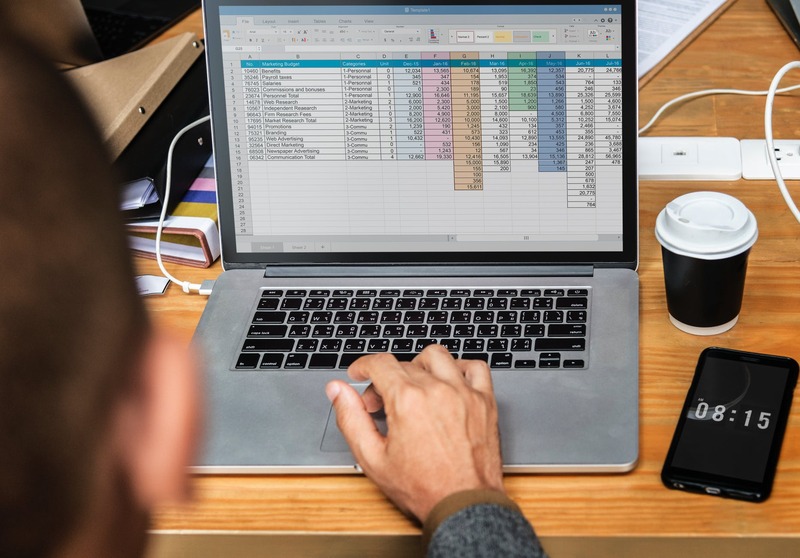 Filing a provisional patent application could help you overcome that because it can help you establish priority even over someone who files a utility patent after you file your provisional application. In general, that’s the crux of the discussion of now, later, or never. At this point, if there are any questions, I invite you to ask and let’s see what else we can learn about this. Does public disclosure include like if you were having financing or investor meetings and things like that? The answer is it depends on the circumstances. Generally, one thing you want to do in have a non-disclosure agreement with those people that you’re having those conversations with just to evidence the fact that it’s a private disclosure, that it’s not public. In general, if the circumstances are that it’s not public, it’s something that happens behind closed doors, then it would probably not trigger those on-sale bars or those public disclosure bars that we’re talking about. To be safe, it does pay to make sure that you have something that evidences the fact and proves the fact that it’s not public at all, that the people that you’re disclosing it to, in terms of those finance people, those investors, that they are under an obligation to keep it private. In that case, there’s no way that it can count as a public disclosure. I have another question here that came in which is, “I plan to launch my product in six months. When should I hire a patent attorney?” Here, the things that are at play are the fact that it’s not going to be public for about six months, but when should you start the process? One of the things you need to consider is first of all, there’s a time frame or lead time that any patent attorney would need to prepare and file the patent application and that could be several months. You want to account for that. Also, once you do hire someone, there may be some due diligence that you want to do, some investigation that you want to do, in order to determine whether it’s worth applying for patents. You need to add that in as well. I would say if you’re about to launch the product in six months, then the time is now. You wouldn’t want to wait much longer than that before you at least start the conversation with a patent attorney about the possibility of applying for a patent. There’s a lead time that any patent attorney would need to prepare and file the patent application and that could be several months. Here is a funny one, “I had this idea last night. Do I need to patent it now?” This goes right to that question of now, later, or never. First of all, there’s no reason to say never at this point. It’s going to be a matter of finding out whether there’s anything patentable about it. Also, if you just had the idea, of course there’s some excitement in the notion that this can be something really great, but you want to investigate it a little bit further to get to that point where you are sure that this is something that you want to pursue. You want to be sure that it’s a product that you want to launch before you make the decision to apply for a patent. It’s good to be passionate about something, but you don’t want to be impulsive. If it’s something that you just thought of, let it sit for a little bit and explore it a little bit privately to figure out if it’s something that you’re sure that you want to protect. You mentioned “Can people steal it?” is one of the decision makers, but often, do people steal it? As a patent attorney, you would think that it would pay for me to just feed into the paranoia, that it would pay to have people be concerned that everyone is out there to steal your invention. The truth is, and just what I’ve noticed throughout my career, is that most people aren’t out to steal your invention. Even when you’re dealing with companies, a lot of times they’re not looking to steal invention but they do want to know that you’ve dotted the i’s and crossed the t’s. Initially, when you’re talking to a company and if they liked the idea, probably most of them aren’t out to steal your invention. If they see me haven’t done anything about patenting it or protecting it, they’re not going to take you as seriously as if you have. I don’t know if it pays to be paranoid as if everyone is out to steal your invention, but it does pay and it does reward itself when you do things in the right way. Another question came in which was similar to what we’re talking about before. “I’m ready to start presenting my product to companies now. Do I need to patent it now or can I wait until I have more set up in the pipeline?” What I assume they mean by that is that they’re looking to get some traction with the patent, looking to get some traction with their product idea before they invest heavily into patenting it. The thing to consider with that is the matter of priority. One thing that people enjoy or what makes people rest easily when they’re talking to companies is knowing that if they have established their priority, if they have filed the patent application, if they didn’t count that one of those people is out to steal their invention and that person saw what a great idea it is and they said, “This is really great,” and they tell their attorneys, “We need to file a patent on this.” If you’ve already filed your application, you already have priority, then you can rest easy in knowing that there’s no way that they’ll ever sneak ahead of you in getting priority. If you are ready to start publicly disclosing it, it would be appropriate to get the patent application filed first. It doesn’t pay to be paranoid about it but it does pay to do things the right way. The right way is to file a patent application before you publicly disclose it in any way. Another question here is about a non-disclosure agreement, about an NDA. The question is, “If I have an NDA, do I need to file a patent application?” Here’s the thing, this is what an NDA is all about. An NDA or a non-disclosure agreement is basically a promise that someone has given you. It’s a contract where someone is promising or a company is promising not to reveal the confidential information that you give to them or to anyone else and not to use it for their own benefit. It’s simply a promise which means that the way that someone would violate a non-disclosure agreement is by breaking that promise. If you wanted to sue someone over a non-disclosure agreement, what you need to do is prove that they broke the promise. You need to prove that they gave your information to someone which led to, let’s say, a competing product being out there on the market. Imagine the scenario that you talked to a company with a non-disclosure agreement, and then a year later, you see that someone else has put a similar product on the market and you can’t prove the connection to the company that you showed it to, then there’s nothing you can do about it. The only way you could prevail if you gave a non-disclosure agreement is if you could prove that they broke their promise and they revealed it. Design Patent: The right way is to file a patent application before you publicly disclose it in any way. If you have a patent, on the other hand, it doesn’t matter how that other product ended up on the market. They could have innocently invented it on their own, but if you have the patent, you still can stop them from making, using, or selling that patented invention. In a very large sense, a patent is much more valuable than an NDA. It doesn’t hurt to get an NDA from someone that you’re talking with about your product. If you get an NDA signed, then it’s just additional ammunition for you if there’s a problem down the road. However, it’s really the patent application filing that gives you all the rights against people that you can’t prove were a party to it. It gives you rights against third party. That’s the helpful part of having a patent application filed. Just another little bit of advice with regard to NDAs is once you do file a patent application, it’s helpful to have an NDA. If you can get a company to sign an NDA, that’s great. I wouldn’t lose the opportunity to show the product to a potentially valuable venture partner or a company willing to or able to license your invention over the fact that they’re not willing to sign your NDA. I would say don’t lose the deal over the NDA but it’s much better to have filed a patent application overall than to use an NDA in most circumstances. This has been fantastic. I enjoyed doing this presentation for this audience, for this group and for your site. Thank you for joining us. ABA Consumer Guide to Obtaining a Patent. I am a registered U.S. patent attorney. I founded my IP boutique firm, Goldstein Patent Law, nearly two decades ago. Our firm specializes in patent prosecution. We represent small business, start-ups, e-commerce and digital marketers, and inventors in their quest to obtain patent protection. Our attorneys counsel individual inventors and start-ups regarding the best steps to take for patent protection, when patent protection is available. In my career, I have obtained nearly 2000 patents for my clients. I have also led business, sales, and personal growth workshops and trainings for thousands of people throughout the United States. I am drawn to solving problems where much is at stake and I can apply my unique legal, business, and people-oriented skill set to provide the right solution. I am passionate about IP, learning, achieving, and helping others achieve success and happiness. I also enjoy writing about the leadership, personal development, and marketing practices that I have discovered work best. Specialties: patent prosecution, leadership consulting, IP strategy, mentoring and training new patent attorneys. 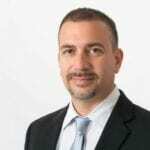 While most patent attorneys do not work with individual inventors, Richard Goldstein has built a career on working with both individual inventors and start-up companies. His approach includes listening to and understanding their goals and needs. Providing custom-tailored representation. Offering specific guidance to keep their project moving toward their individual goals. He has given critical advice to more than 10,000 inventors, and has obtained nearly 2,000 patents for his clients. 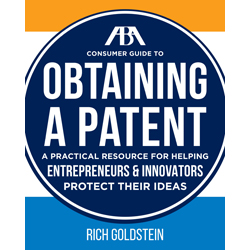 He has educated thousands more about the patent process through his seminars, educational videos, and best selling book: The ABA Consumer Guide to Obtaining a Patent. He also works directly with executives to help them make effective decisions to protect their IP, meet their business goals, and leverage the value of what they have already created.